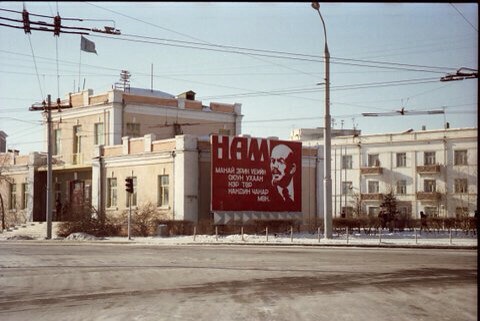 Communist party signage, Ulaan Baatar, Outer Mongolia. Photo © 1990, 2013 J. Lake. Reproduced with permission.